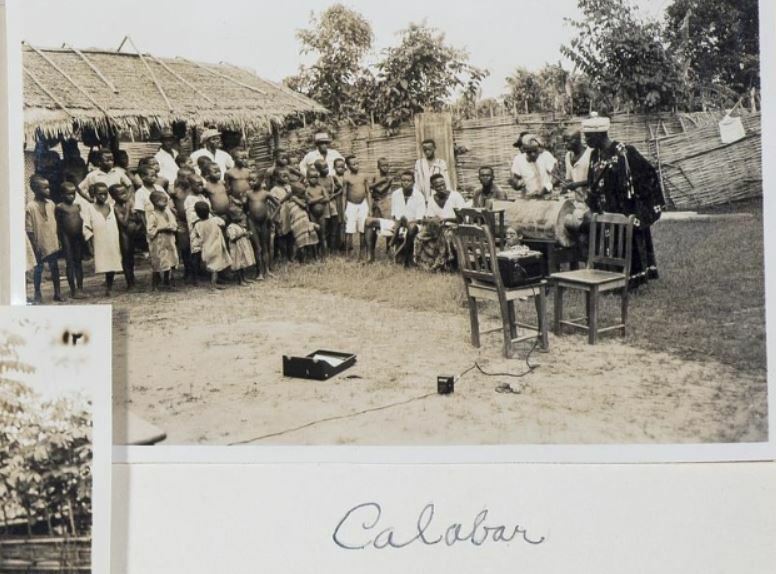 In celebration of Women’s History Month, we will feature women from our various archival collections throughout the month who have contributed to the field of education locally and/or nationally. We start with Wilhelmina Bessie Patterson, a woman described in a July 1946 article in The Pittsburgh Courier as “. . . one of our Nation’s most praiseworthy women” due to her work and contribution to music education. 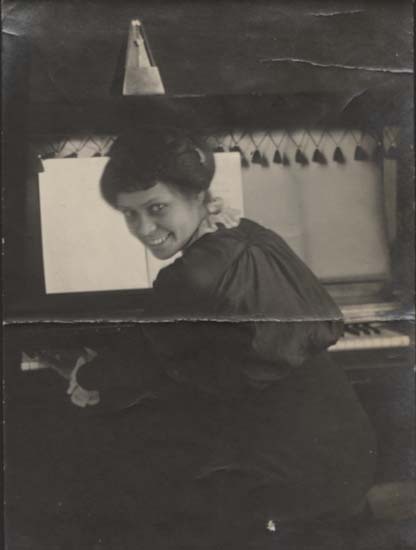 Wilhelmina Patterson at the piano, undated. Dale/Patterson Family collection, Anacostia Community Museum Archives, Smithsonian Institution. Gift of Dianne Dale. Born on June 23, 1888, in Calvert, Texas to William Ross Patterson and Mamie Brooks Patterson, she along with her five siblings were orphaned by the time she was fifteen years old. Her parents died approximately a year apart in Washington, DC. The family had settled in the Anacostia area some years earlier when Mr. Patterson received a government position. Wilhelmina also did excellent work in her career as a music teacher. She served as head of the Music Department at Prairie View State College; taught music for twelve years at Hampton Institute, now University and directed their Women’s Glee Club. She received a scholarship to study at Oberlin Conservatory of Music and later earned a Bachelor’s Degree of Music from the University of Pennsylvania. Wilhelmina presenting Mme. Lillian Evanti at Shiloh Baptist Church, undated. Dale/Patterson Family collection, Anacostia Community Museum Archives, Smithsonian Institution. Gift of Dianne Dale. 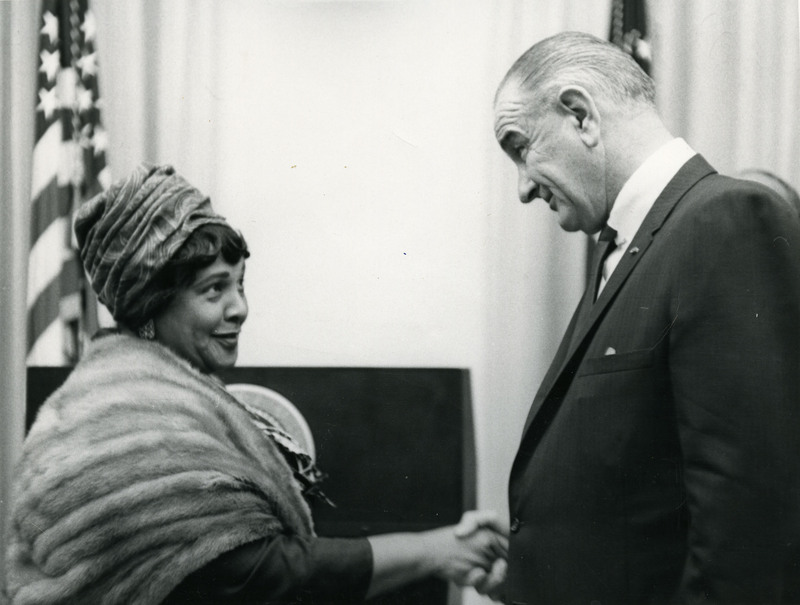 Ms. Patterson moved back to Washington, DC in 1934 and began to manage the music program at Shiloh Baptist Church. 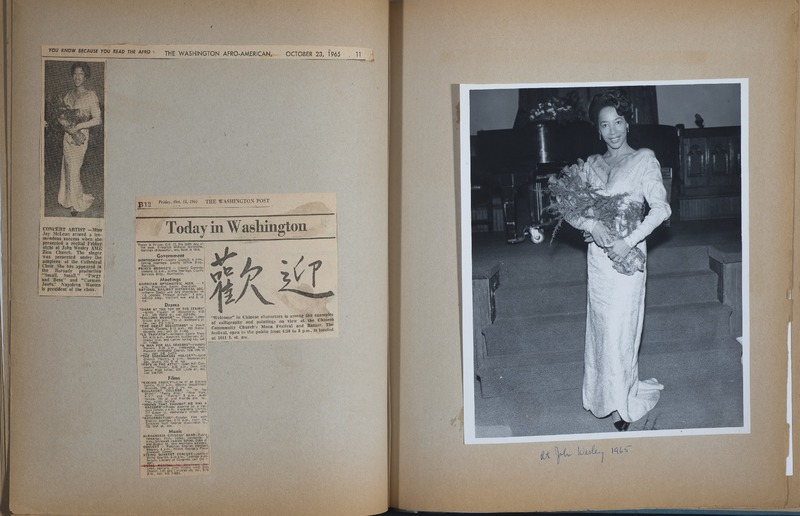 She also maintained a studio at the church and at her home in Anacostia given to her by her brother Fred. Wilhelmina was interested in making her home music center “a place where my musical friends, young and old, may gather in an ideal environment.” During her long career she also served as a D.C. Recreation Department music specialists at the Burrville Center overseeing the instruction and training of children desiring to play instruments. 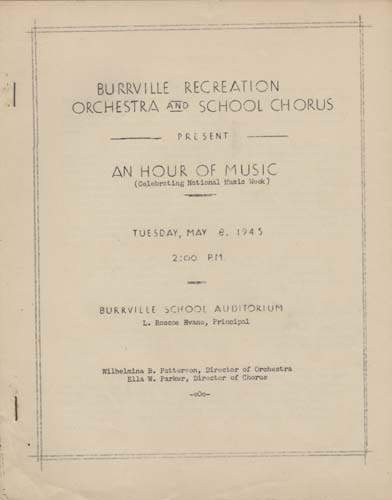 Burrville Recreation program booklet, 1945. Dale/Patterson Family collection, Anacostia Community Museum Archives, Smithsonian Institution. Gift of Dianne Dale. 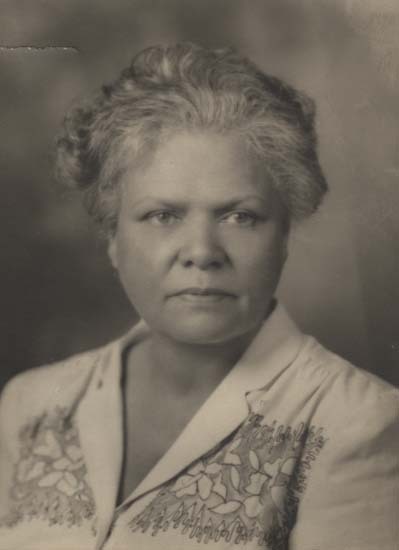 Portrait of Wilhelmina Patterson, circa 1950s. 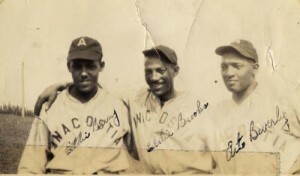 Dale/Patterson Family collection, Anacostia Community Museum Archives, Smithsonian Institution. 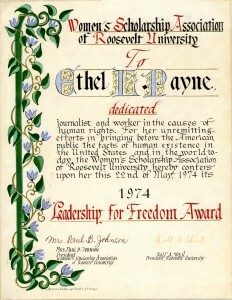 Gift of Dianne Dale. A special thank you to Judy C. Williams, Historian at Shiloh Baptist Church for providing a copy of Ms. Patterson’s funeral program. 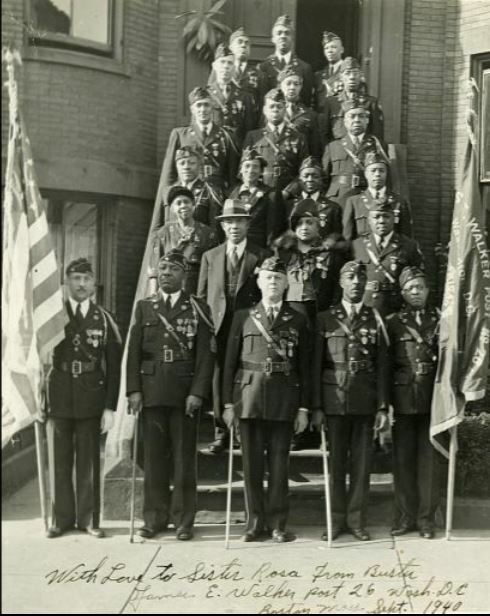 The Charles E. Qualls papers in The Anacostia Community Museum Archives document the professional and civic efforts of Dr. Qualls in Washington, D.C. The records date primarily from 1960 – 1983 and highlight Qualls community involvement and pharmacy business. 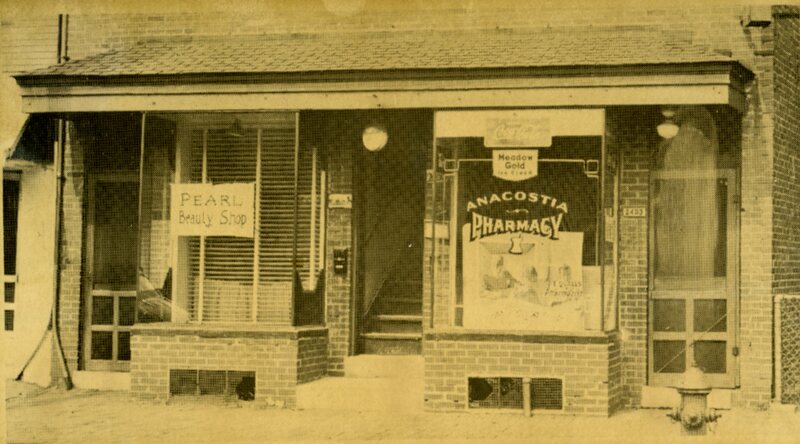 The Anacostia Pharmacy, circa 1950s. Charles E. Qualls papers, Anacostia Community Museum Archives, gift of the Estate of Charles E. Qualls. 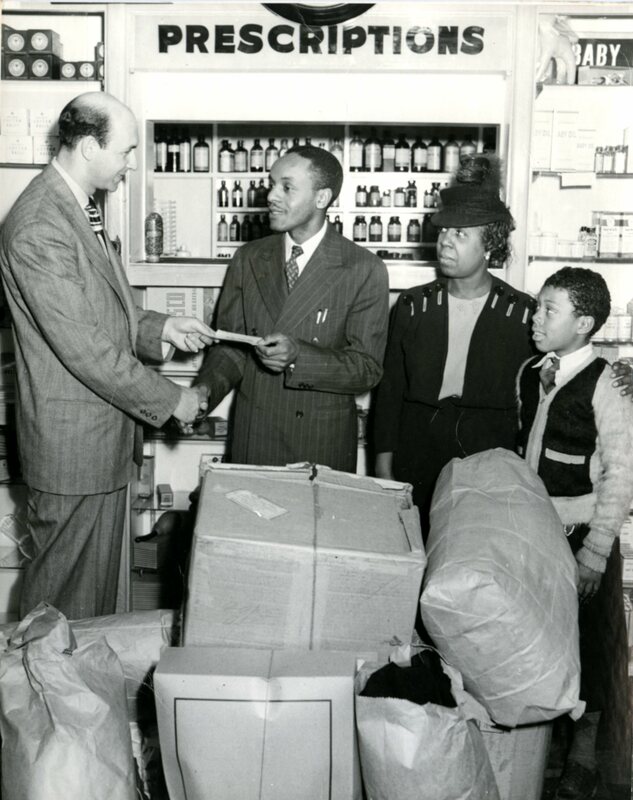 Charles E. Qualls (1912- 1984) opened the Anacostia Pharmacy in 1941. He was a graduate of Howard University‘s School of Pharmacy, was active in the National Pharmaceutical Association (NPA), and was deeply committed to his local community. 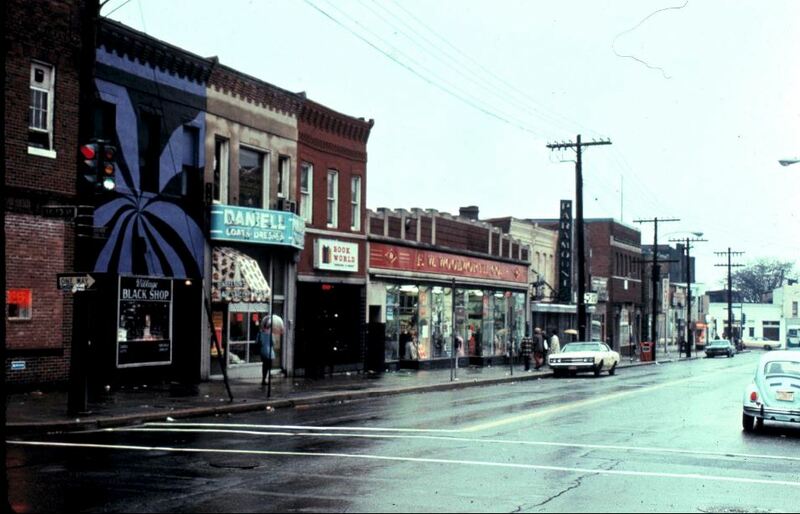 In fact, his Anacostia Pharmacy, located on Nichols Avenue – later renamed Martin Luther King Avenue – became a gathering place for the community. Young people socialized at the soda fountain while older people planned for the future of Anacostia. 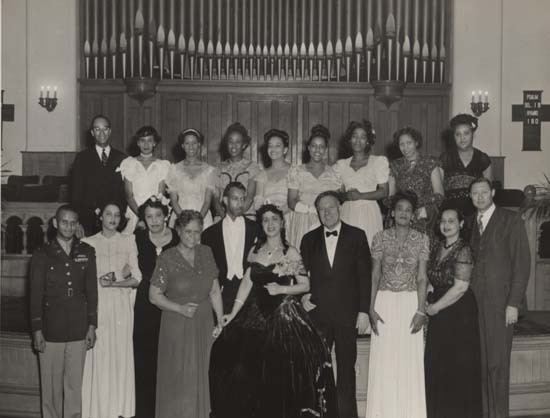 It was from these gatherings that the vision for a community business organization was developed and eventually brought to fruition in 1949 with the establishment of Anacostia Business and Professional Association (ABPA). 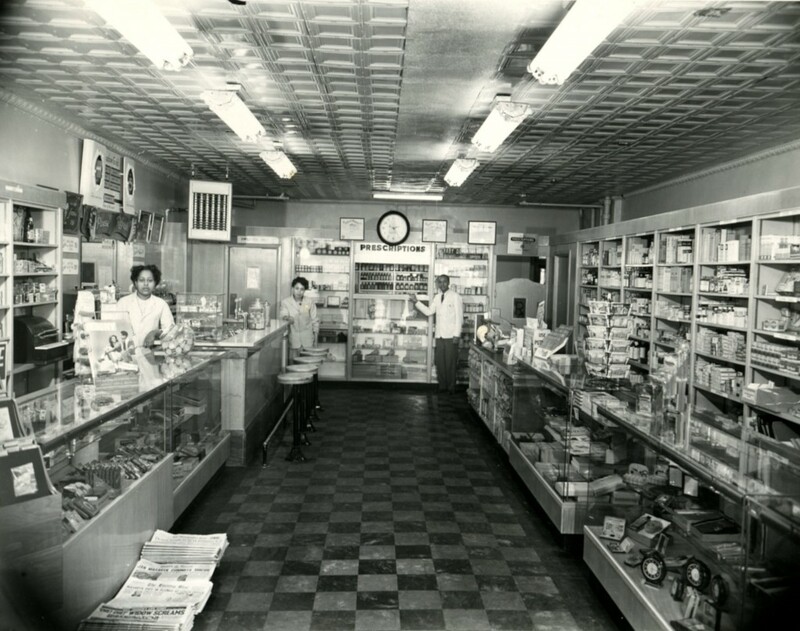 Interior of the Anacostia Pharmacy, circa 1941. Charles E. Qualls papers, Anacostia Community Museum Archives, gift of the Estate of Charles E. Qualls. Mr. Qualls was also a founding member of the Anacostia Historical Society whose mission was to preserve and promote the history and culture of Anacostia. Qualls’ interest in preserving history led to his involvement with lobbying the federal government to establish Cedar Hill, the Frederick Douglass home, as a National Park Service historic site. Throughout his career Dr. Qualls received numerous awards in honor of his business and civic endeavors in the District of Columbia. 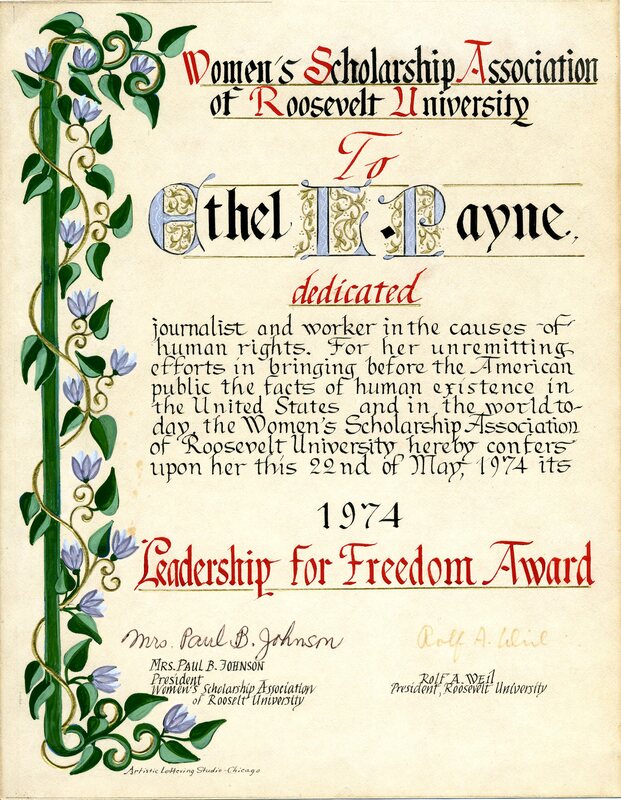 In 1967 he was awarded a Certificate of Appreciation by President Lyndon B. Johnson in recognition of his five years as an uncompensated member of the Selective Service System. Dr. Qualls helped raise funds for the Mills family who lost their home in a fire. He is pictured here receiving a check for the benefit of the Mills family from Les Sands, a radio station announcer whose station raised the funds. Circa 1948. 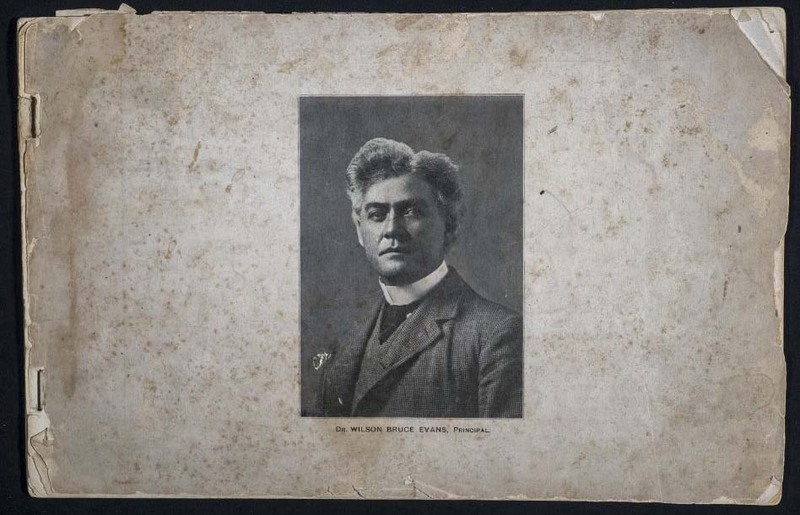 Charles E. Qualls papers, Anacostia Community Museum Archives, gift of the Estate of Charles E. Qualls. Charles E. Qualls died on June 21, 1984. View the Finding Aid to the Charles E. Qualls Papers, 1899-1996, bulk 1960-1983 here! 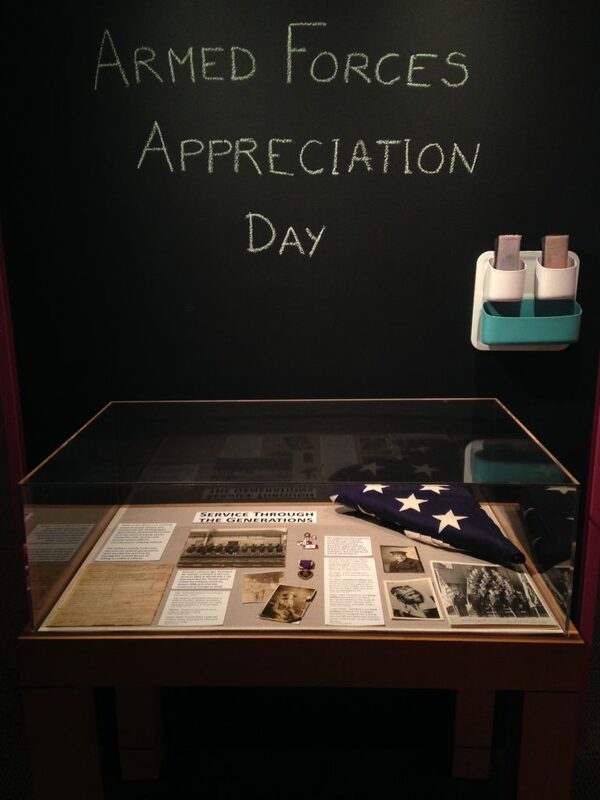 View artifacts from Mr. Qualls collection here! 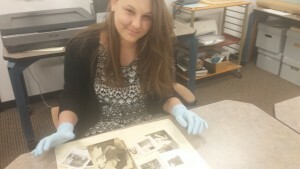 Lucy Platten assisting with the arrangement of photographs from the Dale/Patterson Family collection. My Smithsonian experience has been unbelievable; I have gained skills I thought I would never know, met people who have changed the way I see things and had the most remarkable time becoming more and more independent. I feel that this experience has been life altering to me, as of 2 years ago I would have never have had the courage to fly to America and volunteer at the Smithsonian, and now that I’ve done it, I can’t see myself working anywhere else. In my week of volunteering at the Smithsonian’s Anacostia Community Museum, I assisted Jennifer Morris, the museum’s archivist. She introduced me to several aspects of the archival profession. I helped with the arrangement and description of the Dale/Patterson Family collection which documents the lives of two families who settled in the Hillsdale, Anacostia area of Washington, DC in 1892. Ms. Morris also trained me on Archivists’ Toolkit an archival data management system. I attended meetings and received a behind-the-scenes tour of the Archive Center at the National Museum of American Indian. Jennifer was hard-working and kind-hearted and I enjoyed so much helping her, she aided me to learn as much as my 16 year old brain could hold. At the museum I finally met the lady who answered my very first email offering me a placement at the Anacostia, Shelia Parker. It was wonderful to finally put a face to the name and she turned out to be one of the nicest people I have ever met. All the people at the museum welcomed me with open arms and wide smiles, I never at any point felt unwelcome or un-wanted; I even had an ongoing comical conversation with one of the guards about my stupid need to get a cab everywhere, when he insists to use Uber. 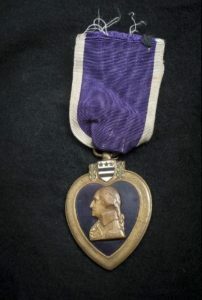 In the museum, I saw two enormously interesting exhibits first, How the Civil War Changed Washington for which I now know about Washington’s tragic Arsenal event of 1864, where 29 women were working when a colossal fire broke out killing 3 instantly and leaving 18 to die from vicious burns. Second, I learned about Panamanian immigration to Washington, DC from the Bridging the Americas exhibition. In England I will be starting college this September, studying History Early Modern, English Literature, Psychology and Archeology. I hope that after college, when I turn 18, I can obtain an internship at the Smithsonian giving me the opportunity to be able to come back to DC and gain even more skills and meet even more generous and wholehearted people. There are a lot of people I need to thank, such as, Shelia Parker for answering an annoying English girl’s email, Jennifer Morris who taught me so much and created the best experience I could ever imagine and my family who’s financial and loving support got me to Washington, DC to make memories and start the journey to my, hopeful, aspiring future. All that I can do now is to work hard and never lose sight of my dream to return to Washington, DC and work at a Smithsonian Museum!